Details: Coles is please to welcome Lorna Schultz Nicholson signing her latest book Bent Not Broken, a great book for young adults and even adults. She will also have copes of her latest release Superhero Ninja Wrestling Star and her Puckster series. 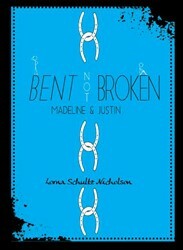 Please stop by to say hi to Lorna and pick up your copy of Bent Not Broken.